Nelson’s Coppermine Loop is justifiably famous for its spectacular views, easy access, interesting history and fun nature. Roughly 35km in length (depending on where you start), the trail is predominantly an easy climbing grade on the way up (as it used to be a horse-drawn train track), and a fun but not too technical descent on the other side (generally agreed to be no more than grade 3, with no difficult pinches). The trail presents no particularly challenging navigational decisions either, as it is clearly marked at most critical junctures or you can follow your nose when in doubt. Many many people ride the trail unguided, either riding up it until they decide to turn back (usually around Third House), or as a full loop taking between 3-5 hours. In fact we have seen massive varieties of users tackling the trail unguided; families, riders on tandems, riders on hybrid bikes, etc etc. A safe and fun ride is often achieved simply taking the unknown out of the equation. A good guide can reassure group members about upcoming sections in terms of difficulty, and timing, as well as pointing out specific hazards or obstacles that might be coming up. Extra information. A good guide can provide considerable extra information about the area, history, trail, plants, and birds. These extra details can turn a ride from being a grind into being an education and an adventure. Support. A good guide will be able to provide mechanical and first aid support on a ride should it be needed. Not every ride goes flawlessly, and it is comforting to know that a trained professional will be at hand to help should something go wrong. They may also be able to tweak the set-up on your own bike to make it more comfortable and safer for the ride in question. Skills improvement and coaching. A good guide can provide advice on how to improve your riding skills in general, as well as analyzing and providing specific advice for improving one’s ability to handle the specific trail, or to improve observed weaknesses in technique. Safety. While the Dun Mountain trail/Coppermine Loop are not particularly challenging, they are remote, there are parts with no cell phone coverage, and several parts are very exposed and prone to weather extremes. These challenges could be especially problematic for someone riding on their own should they suffer a mechanical problem they can’t fix, or injure themselves. 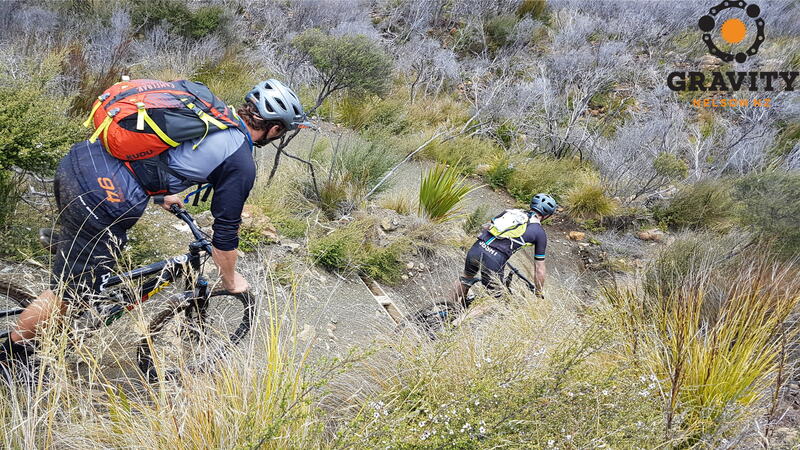 Riding with a guide provides support throughout the ride, and a good guide will have extra safety and communication gear with them (like a PLB) that can function even in remote areas. Pacing. Probably one of the most challenging aspects of the Dun Mountain loop is that, while the distance is short, there is quite a lot of altitude gained, and people often underestimate the fitness required and go to hard at the start. A good guide can pace the group at a manageable speed so that nobody blows up and suffers later in the ride. Turning a ride into an adventure of a lifetime. 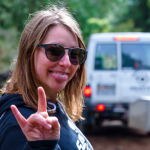 A good guide can provide bad jokes, interesting stories, a silly smile, and cheesy and sarcastic comments which can turn an ordinary ride into a memorable adventure of a lifetime. The great thing is that a guide can provide all of these things at the same time for a relatively economic price, whether you are riding as an individual or as part of a group. The Dun Mountain loop is particularly well suited to taking a guide as it is possible to ride from the center of town directly to the trail head, and then back to the center after the ride. 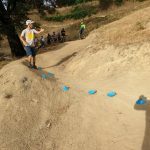 Fun downhill sections with friendly advice and coaching on the way! 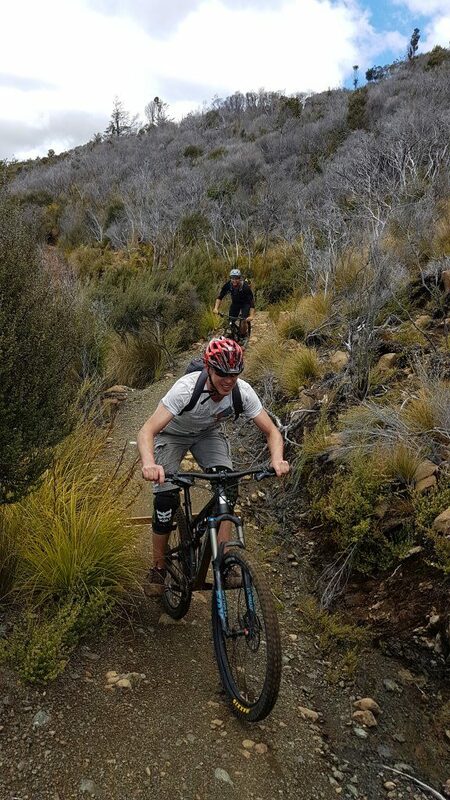 Gravity Nelson works closely with Helibike Nelson to offer the best possible guides for those wanting to experience the Dun Mountain/Coppermine Loop. 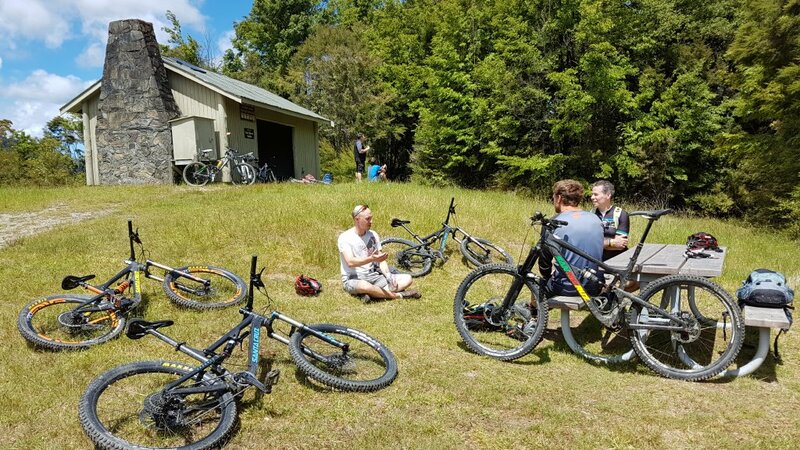 We are also able to offer Guided and unguided Heli trips to the top of the trail so riders can miss the hard work before riding down! 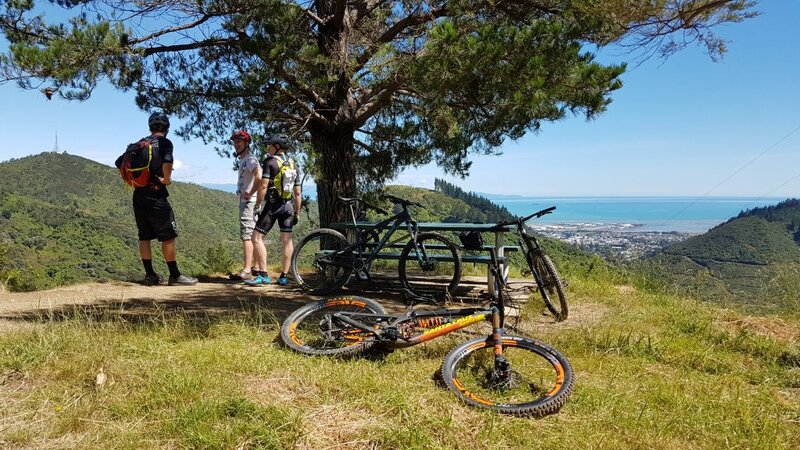 For those who are traveling to Nelson and would like to experience this fantastic trail but don’t have their bike with them Gravity Nelson is also able to offer fantastic quality Santa Cruz Bronson full-suspension rental bikes. 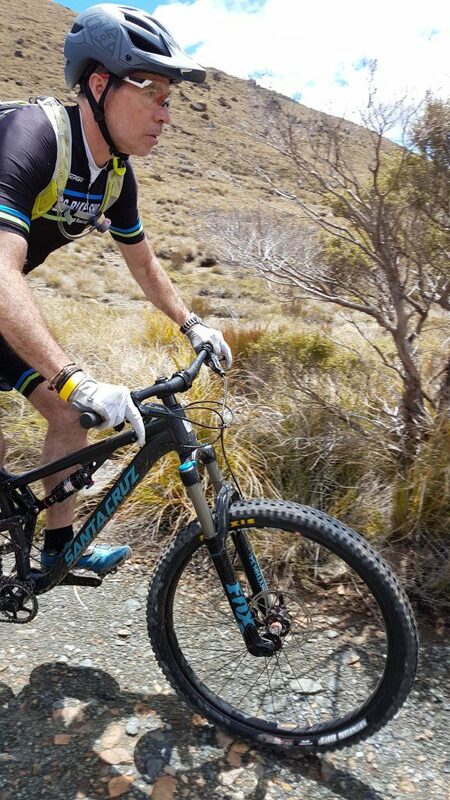 Riders of all levels of skills and fitness will benefit with riding with a Gravity guide. Whether you plan on riding guided or un-guided, please feel free to drop us a note, or pop in and see us, with any questions you might have about the trail so we can help you to make the most of this fantastic ride.